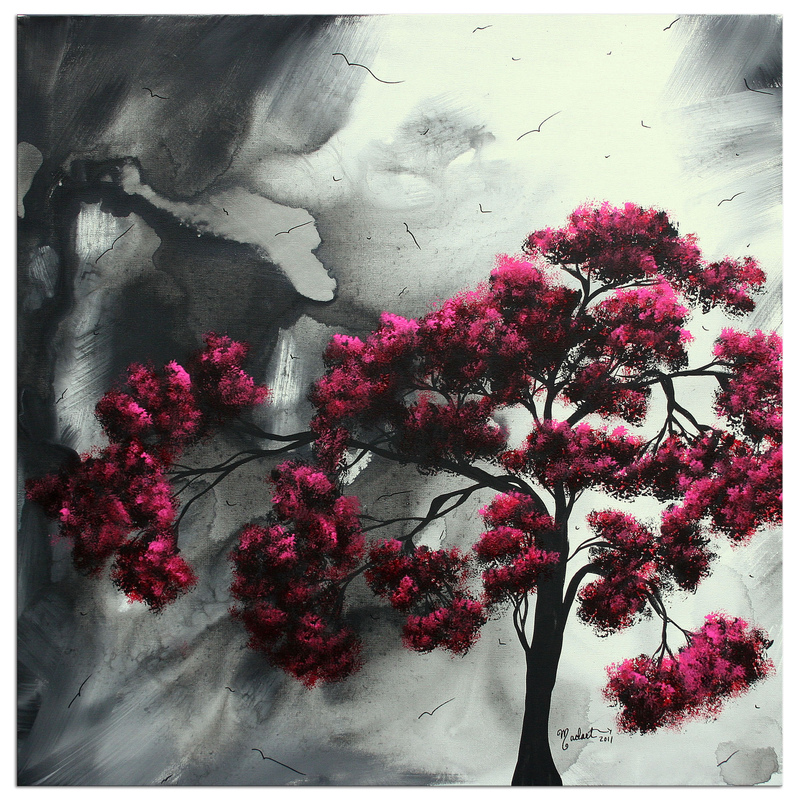 The 'Pink Passion' contemporary landscape artwork is a whimsical scene of a huge, leafy pink tree in partial black silhouette, on a backdrop of black and white stormy skies, with billowing clouds in a darkening night. A few daring birds brave the gloomy weather, and the whimsical pink tree acts as a beacon calling them home. 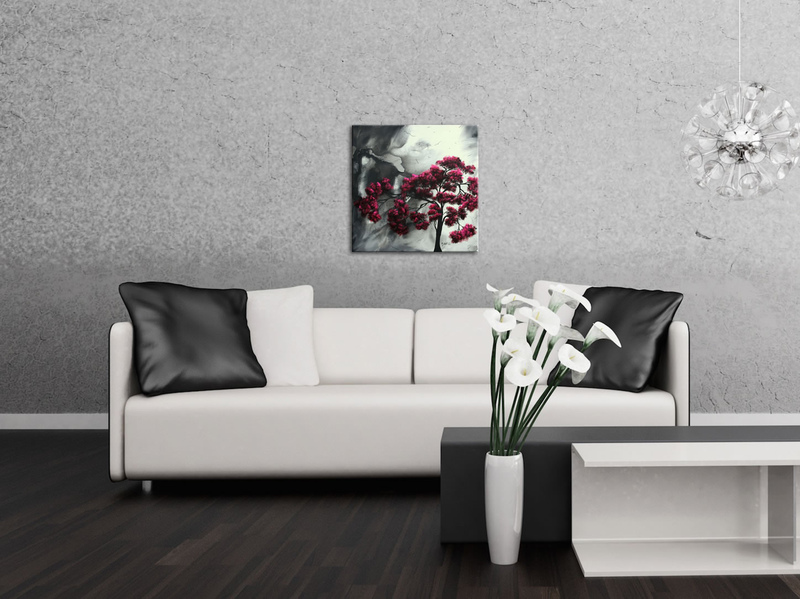 The creative combination of a modern, minimalist black and white base with a striking pink accent make this metal giclee painting an excellent addition to a modern or contemporary space. The striking colors, attractive satin/matte finish and durable metal medium work beautifully in a living space, office, home, restaurant, hospitality, or restaurant display. Megan Duncanson is one of our newest artists to join the Modern Crowd family, with a collection of designs exclusive to our line of fine metal giclees.